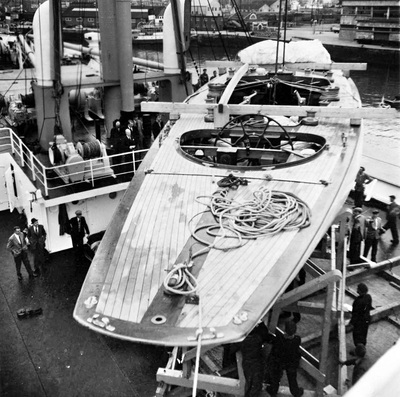 The hull planking was completed on 12th February. The mast arrived at the yard from Camper and Nicholson’s on 29th March and following her launch on 2nd April, Sceptre first sailed on 11th April. 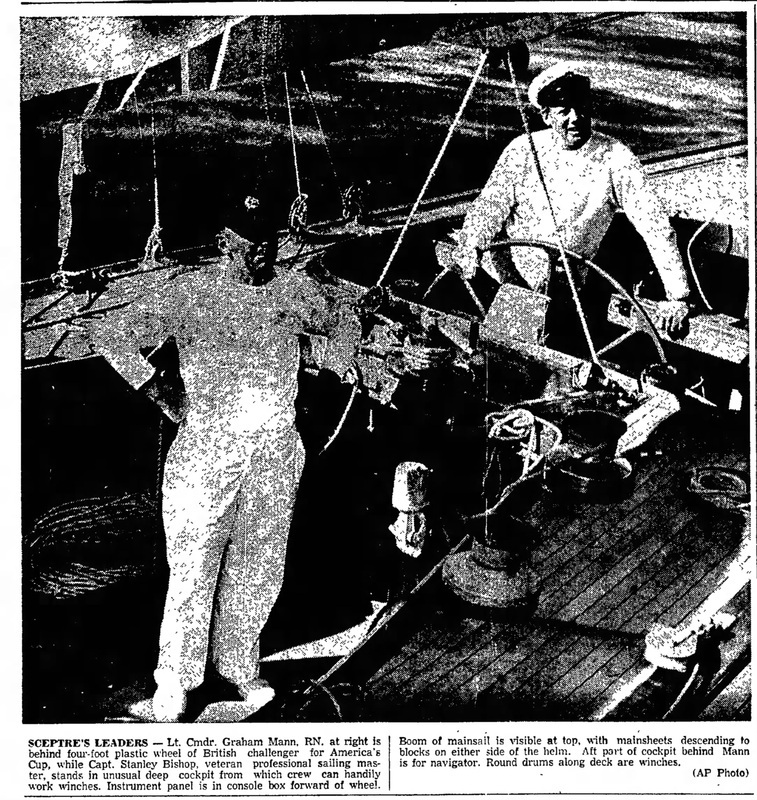 Sea trials ran concurrently with crew training and hundreds of modifications for the next three months. 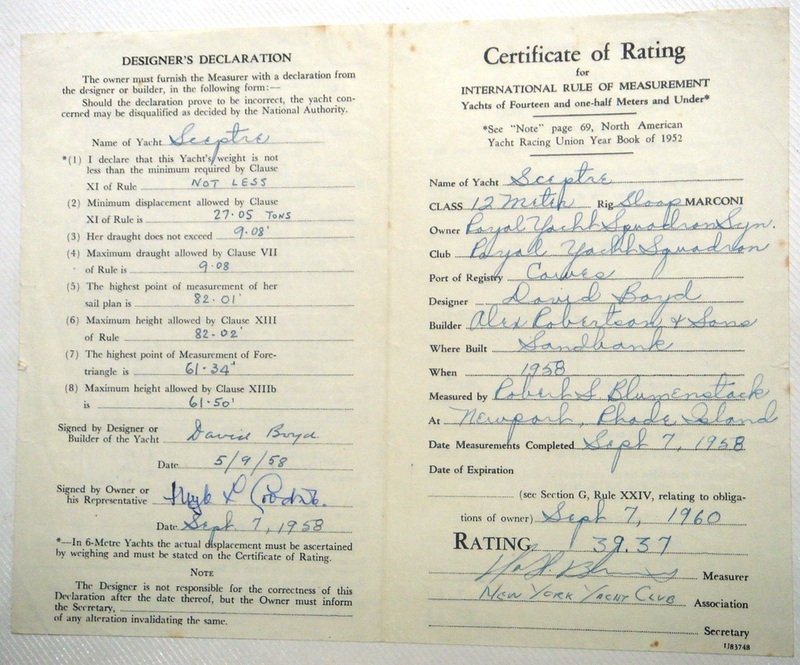 On 3rd August she was loaded aboard SS Alsatia in Southampton, arriving in New York on 12th August. 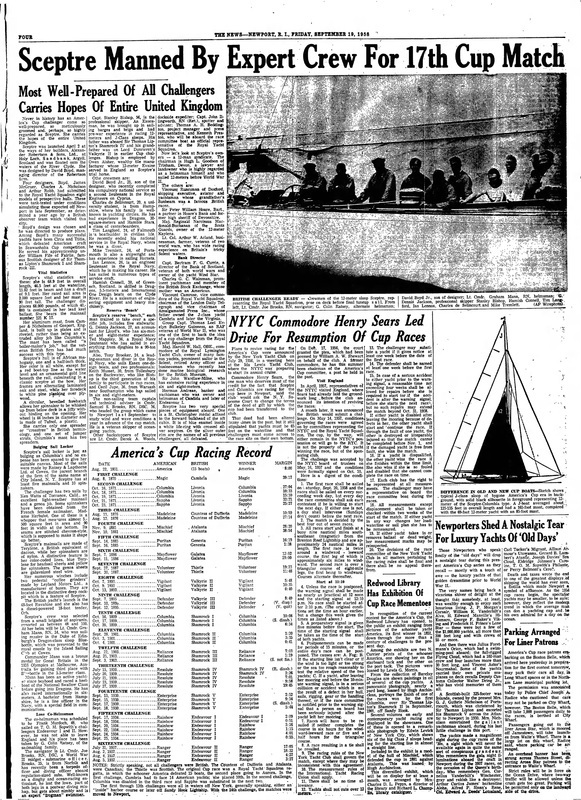 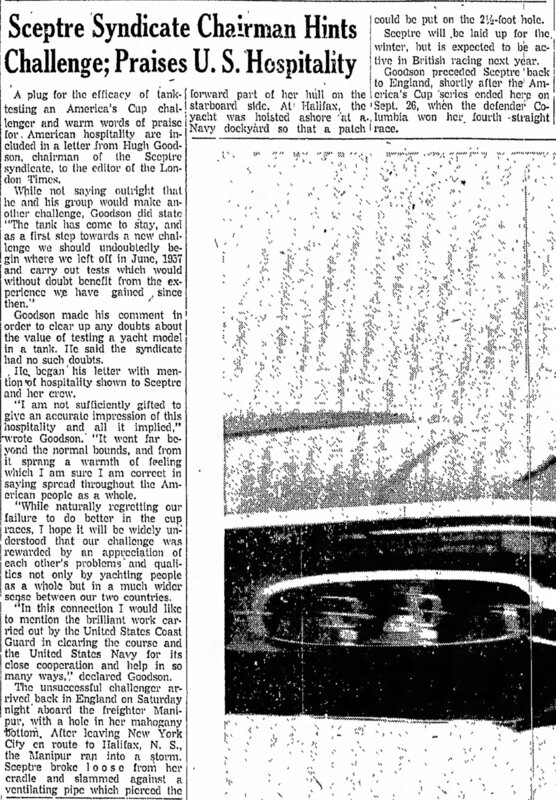 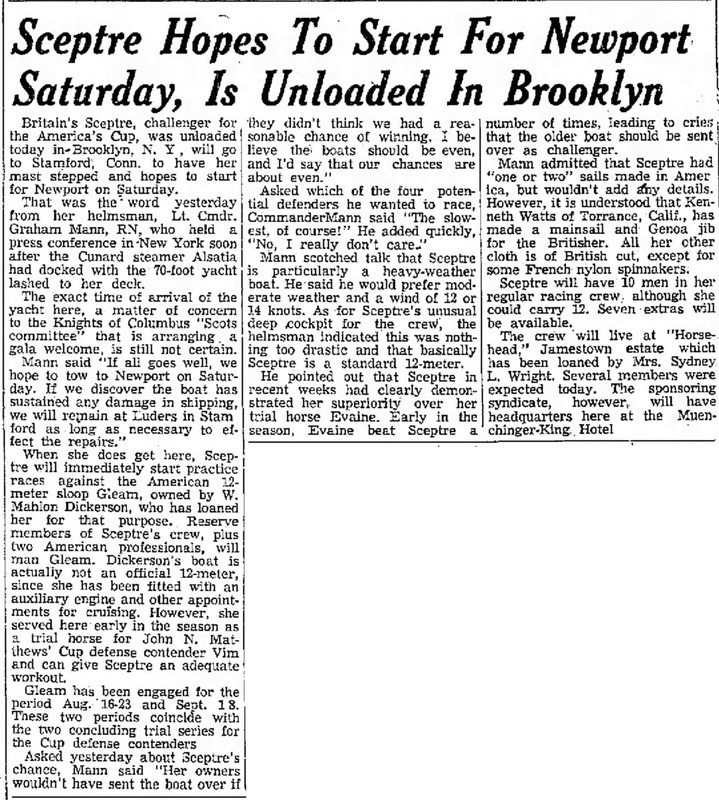 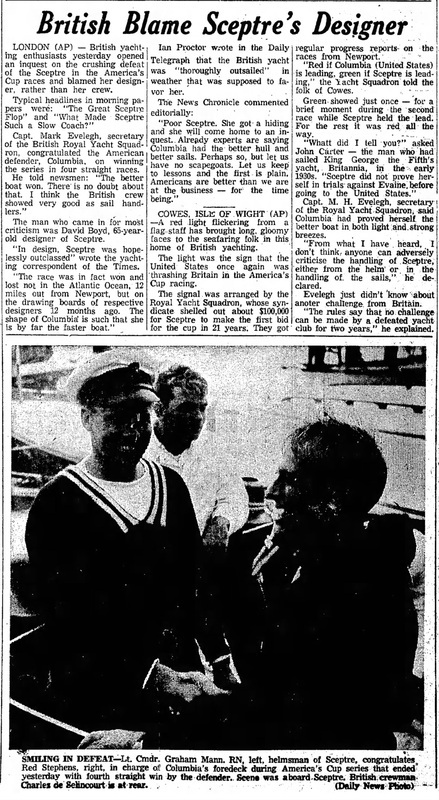 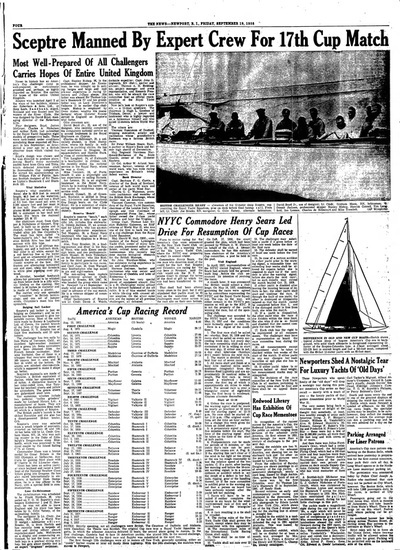 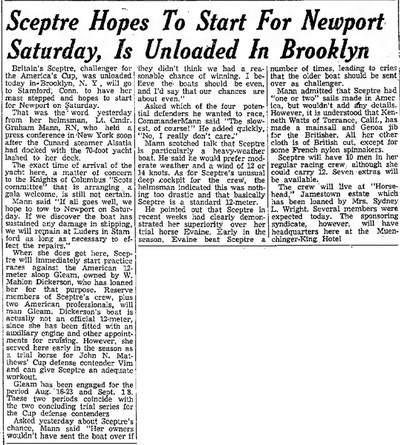 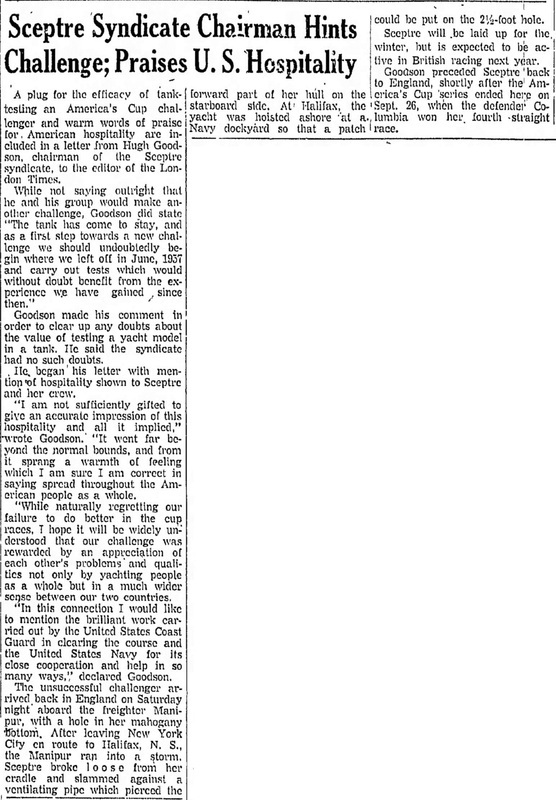 The Glasgow Herald gives a full page (April 3rd 1958, page 3) to Sceptre's launch, showing plenty of national pride in their beautiful new yacht and her revolutionary construction and fittings. 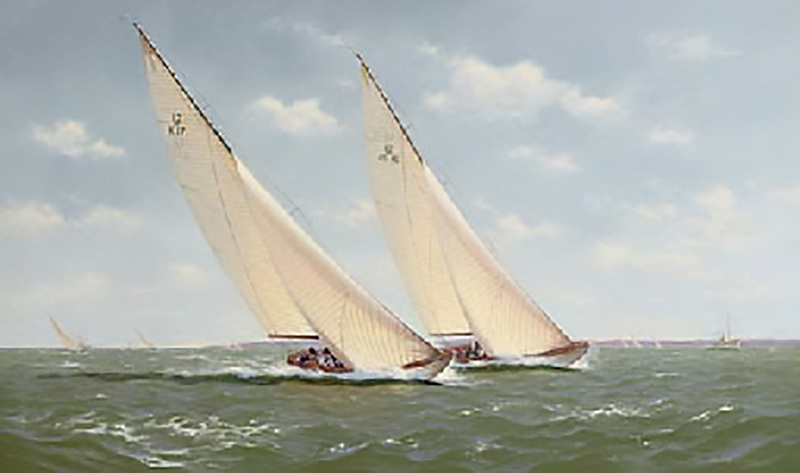 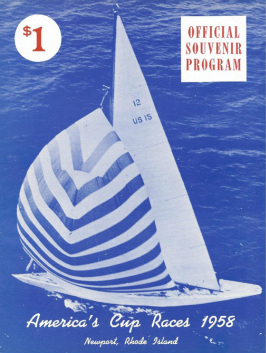 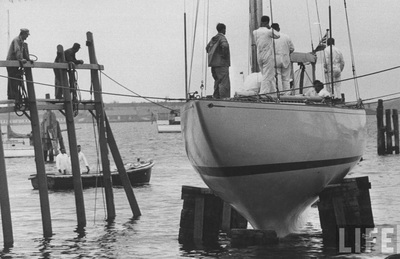 In the USA, after a series of trials between several possible yachts to defend the title, Columbia was chosen over Vim, Easterner and Weatherley. 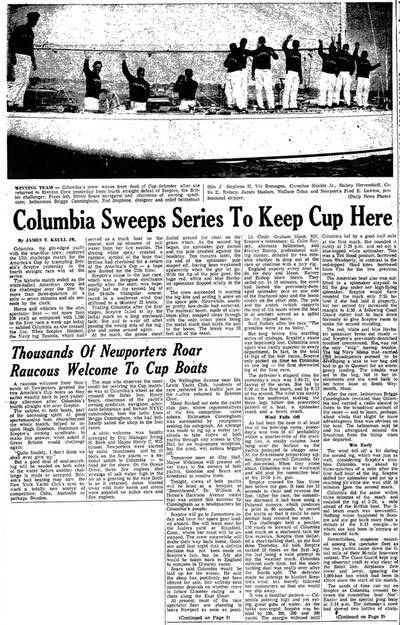 First Race, 20th September: Columbia wins by 7 minutes 44 seconds, in light winds. 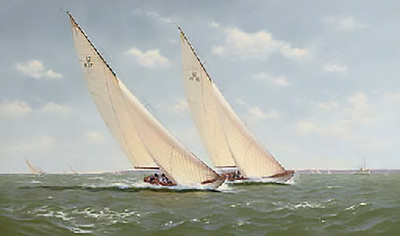 Hugh Somerville commented “Columbia’s crew seemed to show better light weather sailing technique and her sails, her jibs, perhaps even more than the famous mainsail, were vastly superior and also looked much bigger than Sceptre’s”. 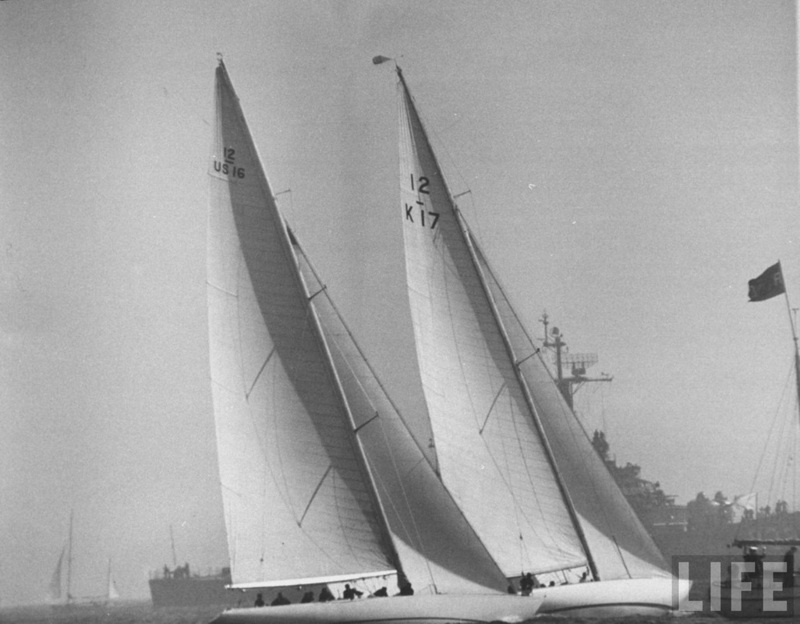 Second Race, 22nd September: Race declared void – timed out. 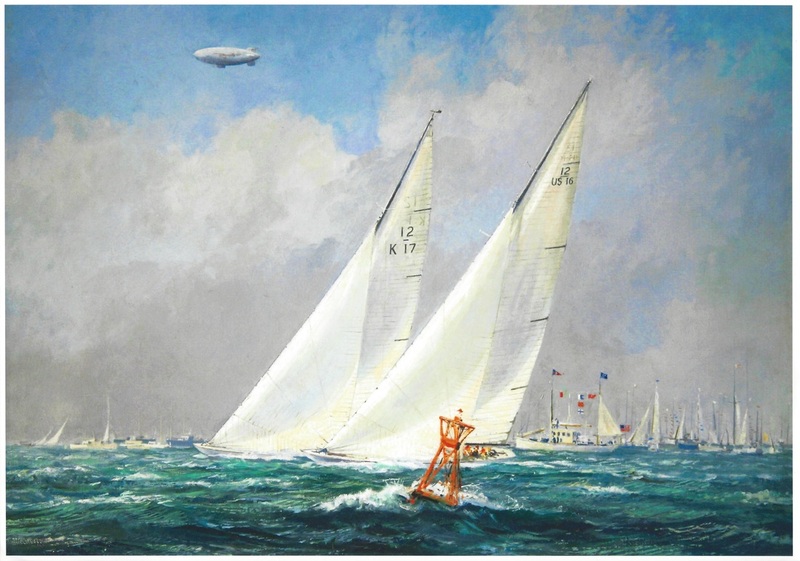 Second Race, 24th September: Columbia wins by 11 minutes and 42 seconds, on a day of lightening winds, with Sceptre struggling to find the right spinnaker for the conditions. Third Race, 25th September: Columbia wins by 8 minutes and 20 seconds, in fresh conditions which should have played to Sceptre’s strengths. Fourth Race, 26th September: Columbia wins by 7 minutes and 5 seconds, with Sceptre suffering a poor start and then a broken main boom. 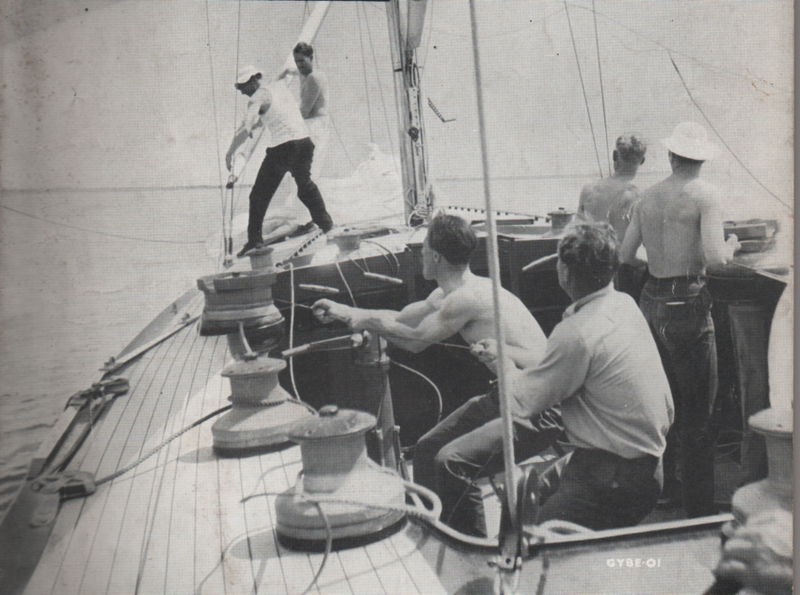 Despite these set-backs, the crew gamely carried on, lashing the spinnaker boom to the broken main boom in order to carry on sailing. 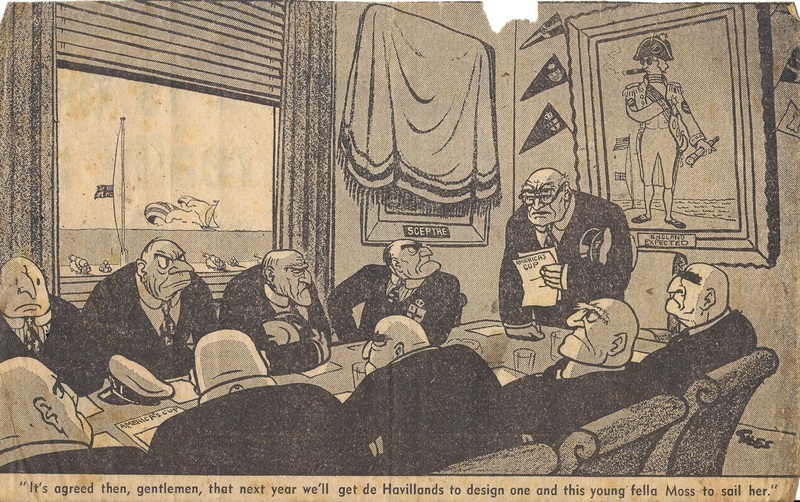 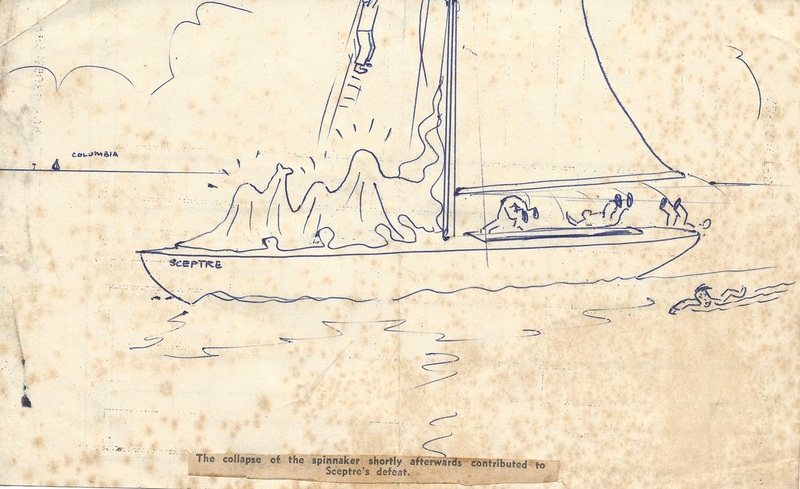 Sceptre’s heavy defeat resulted in a great deal of disappointment in Britain, and its possible causes were much debated: the design, the sails, the crew… all came up for discussion. 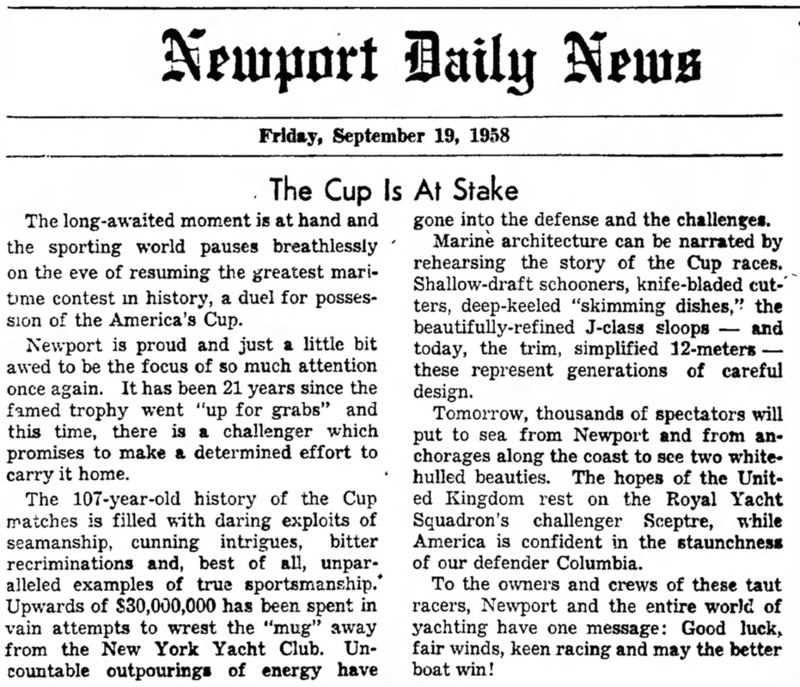 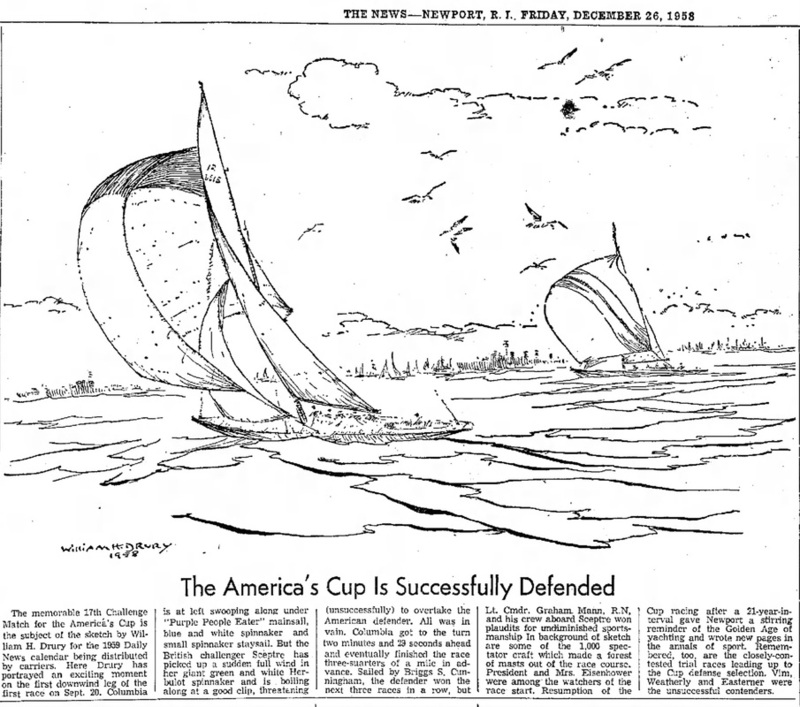 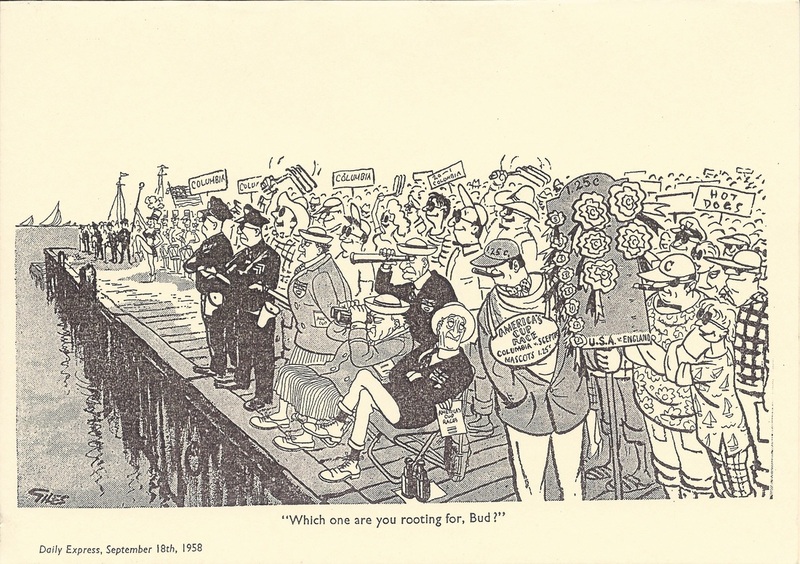 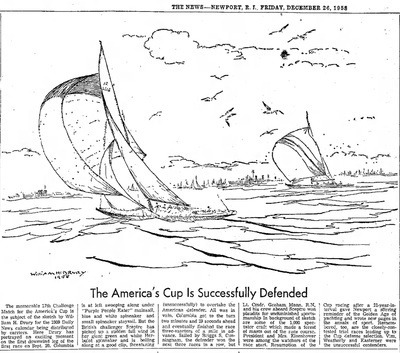 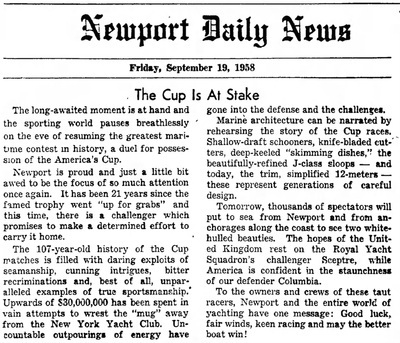 Graham Mann, Sceptre’s skipper, discusses the reasons “why we lost”, while Colin Ratsey, Columbia’s sailmaker, talks about “why we won”; in the press, plenty of column inches were devoted to analysis of the races and the boats. 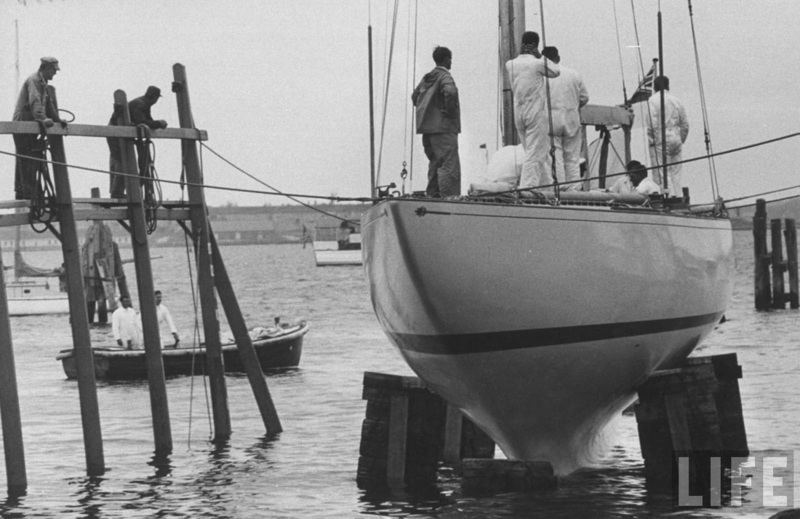 However, it seems possible Sceptre was beaten by a combination of all these issues, together with the rush to get a new yacht ready for the challenge without adequate competition on the water. 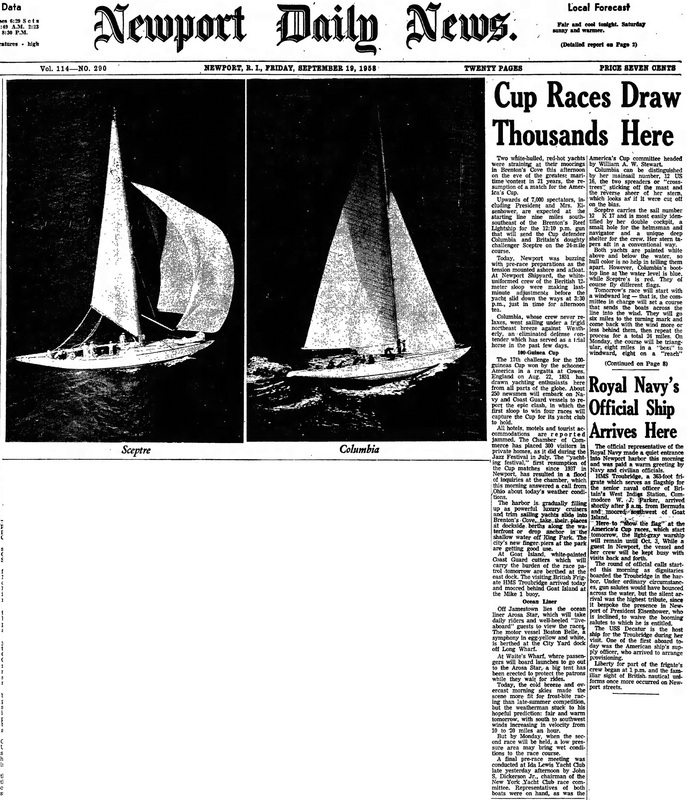 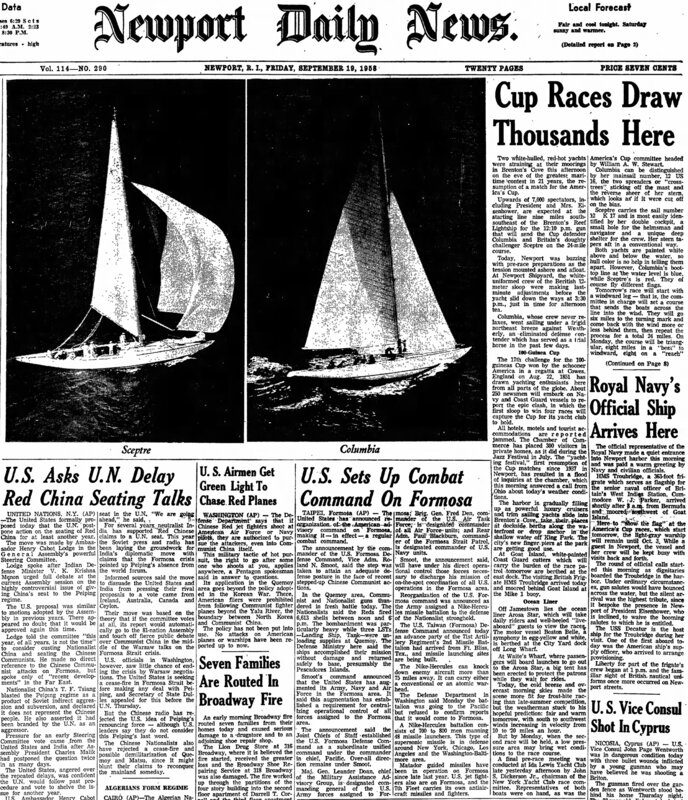 The 17th challenge, though it proved to be rather one-sided, did re-awaken an enormous amount of enthusiasm and excitement for the America’s Cup on both sides of the Atlantic. 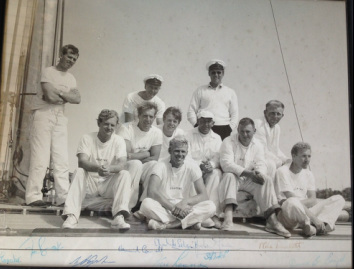 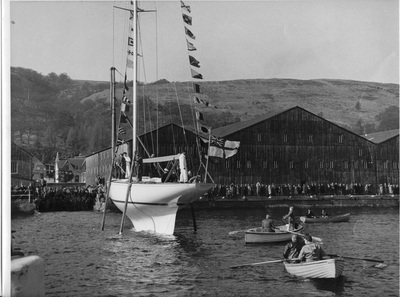 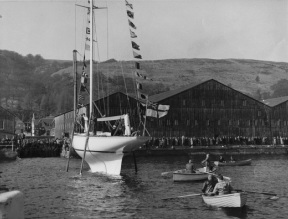 It was felt to have been a thoroughly sportsman-like event and as soon as it was over, moves were afoot to work up a new challenge, this time possibly including yachts from Australia and Canada. 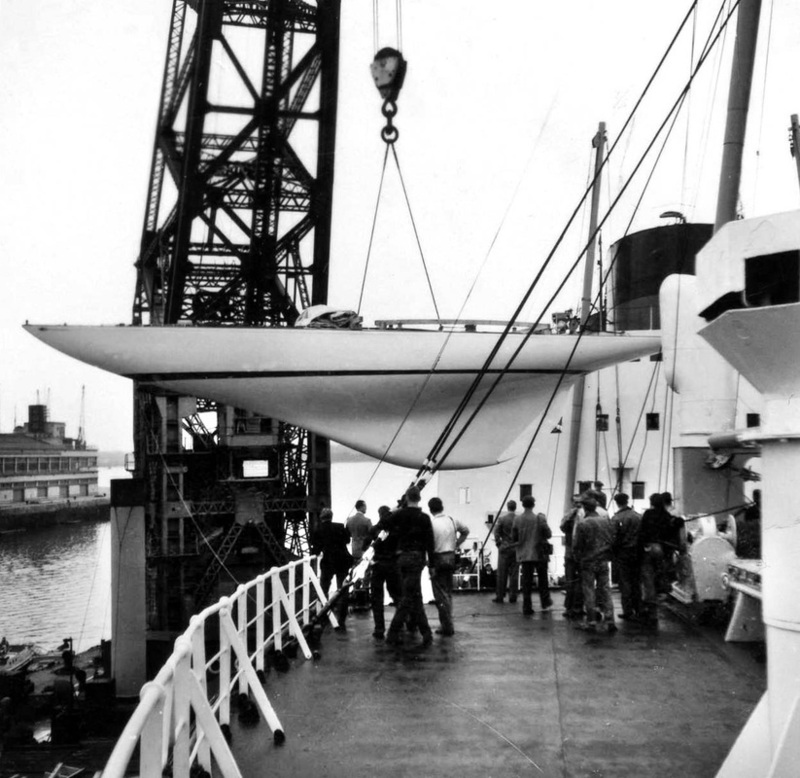 She was stowed in a cradle on our after deck. Not surprisingly, the cradle was very high and there were beams right across Sceptre's deck whereby she was secured downwards to the ship. 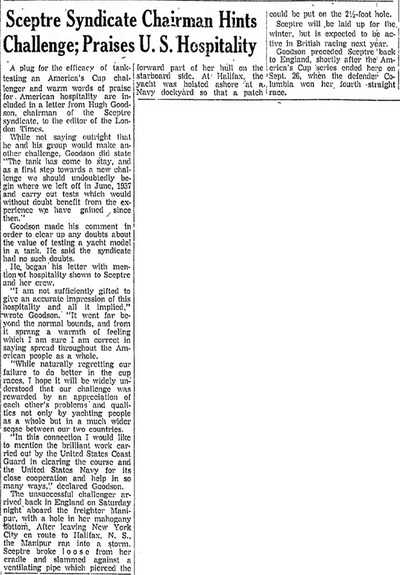 However, when Manipur rolled heavily in the storm after leaving New York it became evident that the cradle was not adequate for such sideways stresses and one side collapsed. 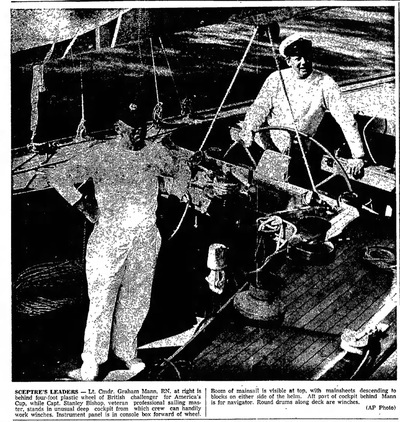 Sceptre fell across the deck onto a ventilator and her bow was damaged. 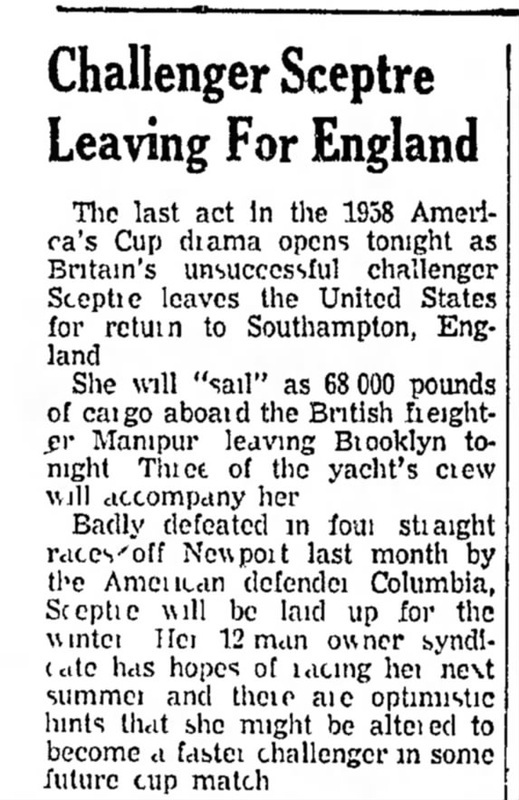 When we diverted to Halifax Nova Scotia to have Sceptre re-secured it made TV news here in Britain. 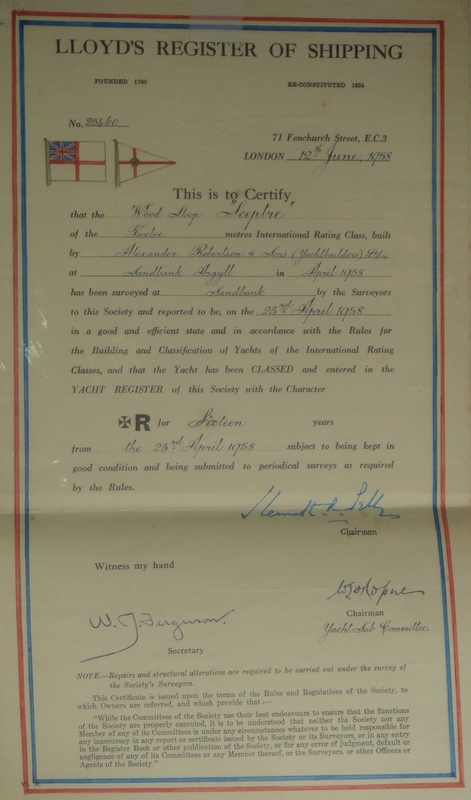 Sceptre was taken to Camper & Nicholson in Southampton to await a decision about her future. 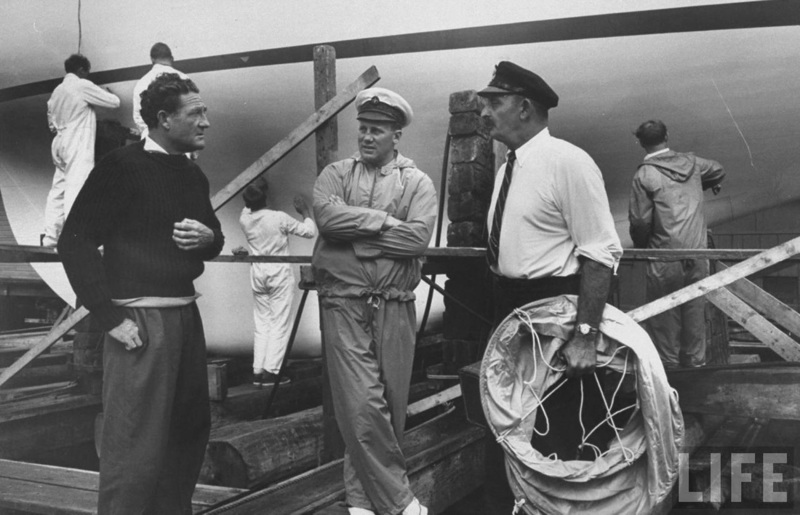 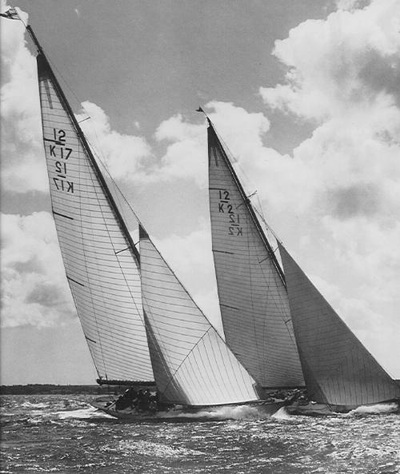 An authoritative history of Sceptre, from the initial stages of her design through to a detailed account of the America's Cup series of races, was written in 1958 by Hugh Somerville. 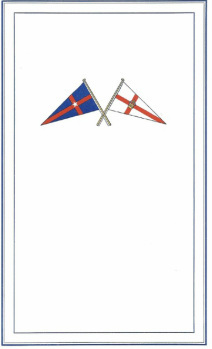 Copies of this book are usually available on the AbeBooks.co.uk website.